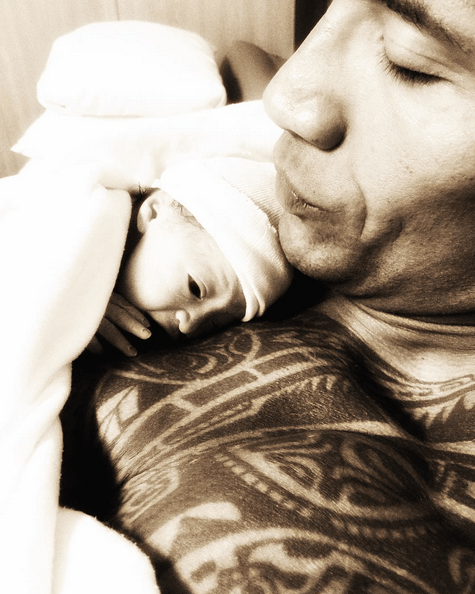 Dwayne ‘The Rock’ Johnson has proudly shared the first picture of his newborn daughter Jasmine. The 43-year-old actor and long-term girlfriend Lauren Hashian welcomed their new baby last week and the doting dad took to Instagram on Sunday to share a sweet snap of his little girl lying on his chest. “Thank you guys so much for the awesome congratulatory wishes and love you’ve been sending @laurenhashianofficial and myself. We’re extremely grateful. Dwayne is also a dad to a 14-year-old daughter named Simone from his previous marriage to Dany Garcia.